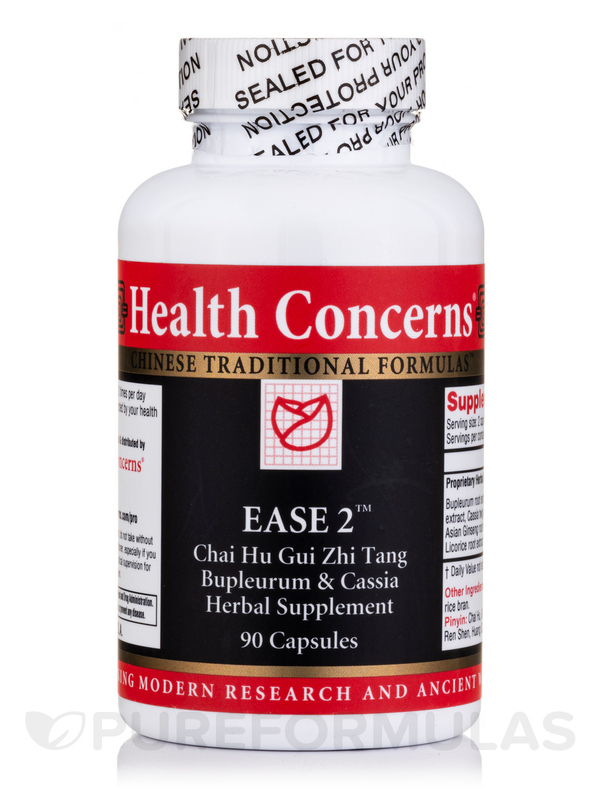 Ease 2 by Health Concerns may work to promote overall well-being because it contains an herbal formula known as chai hu gui zhi tang. 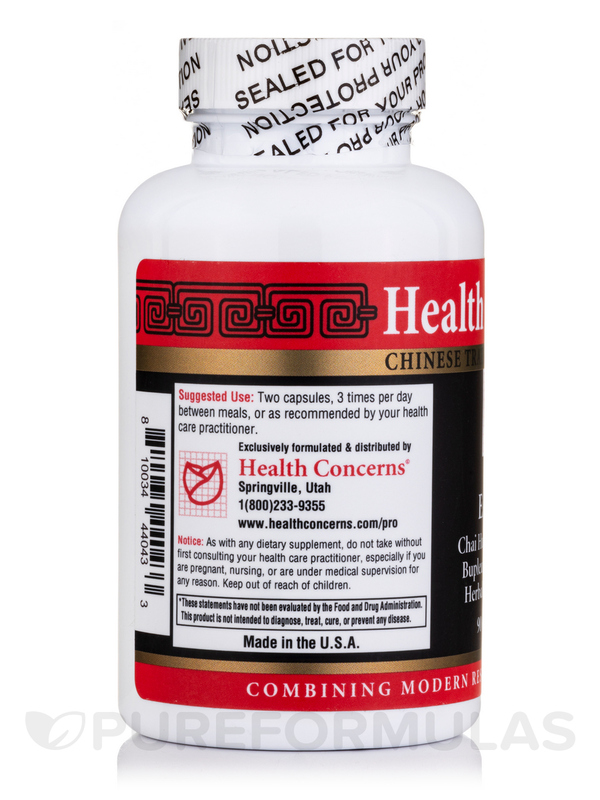 According to proponents of traditional Chinese medicine (TCM)‚ this formula could potentially work to maintain optimal liver and spleen function. The primary ingredients in Ease 2 are bupleurum (chai hu) and cinnamon (gui zhi). Notably‚ these herbs might work to relieve mild muscle tension in the neck‚ shoulders‚ and upper back. 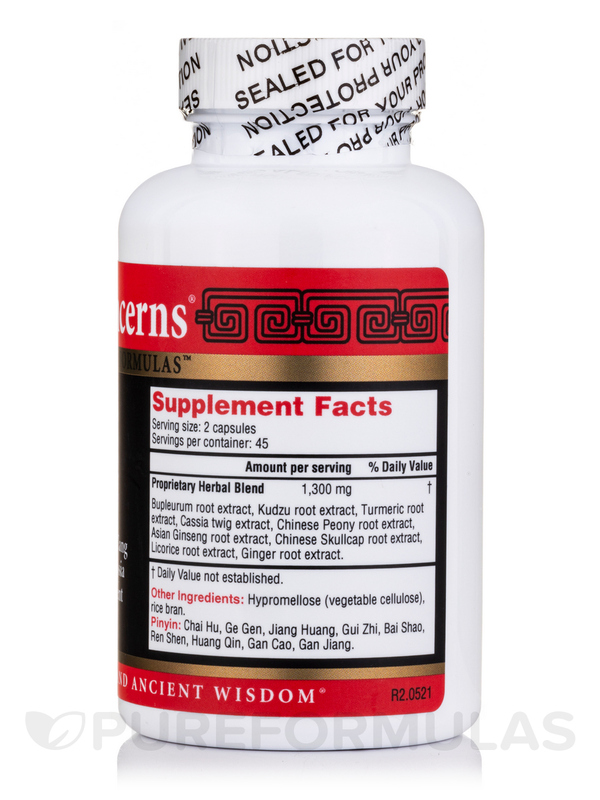 By having a mild relaxing effect on tense muscles in the upper abdomen‚ these herbs may also act to alleviate certain symptoms associated with duodenum and stomach ulcers as well as other forms of gastrointestinal discomfort. Moreover‚ Ease 2 may help address certain symptoms associated with upper respiratory infections‚ such as minor chest pain resulting from a condition called pleurisy that occurs when the mucosal membrane that lines the insides of your lungs becomes inflamed. If you take three tablets three times daily‚ each 90-tablet bottle of Health Concerns’ Ease 2 should last for about 10 days.